Sandia Peak sits high above Albuquerque and boasts perhaps the nation's easiest ski resort access from a major city via a 60-person aerial tram that rises more than 4,000 vertical feet in less than 20 minutes. 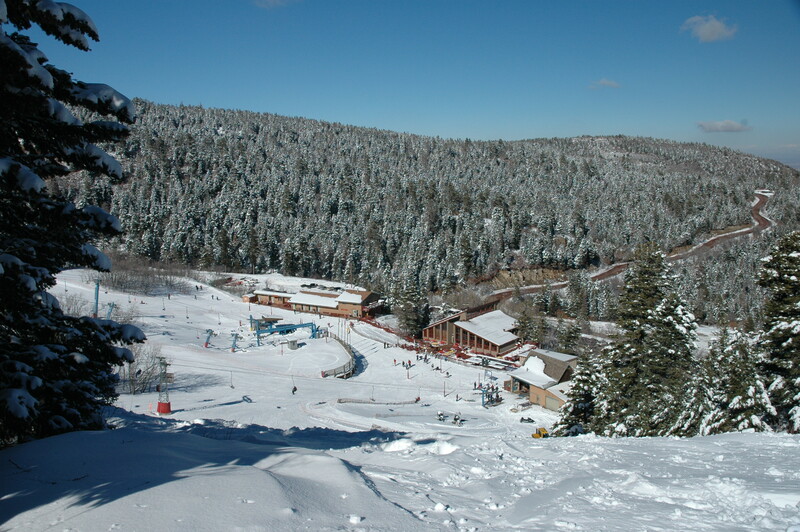 It is New Mexico's oldest ski area and offers beginner and intermediate skiers and boarders some long cruisers. Weekends can get crowded and lifts are old, but a weekday powder dump even can entice experts to sample its slopes. The cafeteria serves breakfast and lunch, while the High Finance Restaurant at the summit offers lunch, dinner, and a full bar to go with the view. There's also a rental and repair shop, ski and snowboard schools, coin-op race course, and an Adaptive Ski Program. First aid on-site. Fifteen percent snowmaking. Get Snow Reports, Powder Alerts & Powder Forecasts from Sandia Peak straight to your inbox! Lift, lesson and rental deals aplenty throughout Utah, New Mexico and Colorado during the month of January.